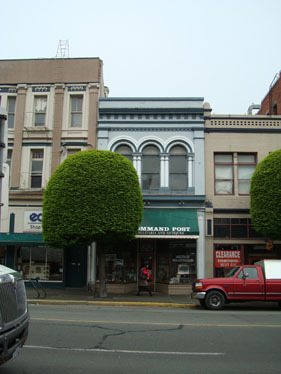 The building at 1306 Government Street was built in 1902 for Hy Siedenbaum, owner of the Palace Saloon at 578 Yates Street. In 1907 it was home to Frank LeRoy tobacconist and John Dean real estate. It is still used for commercial purposes and serves as a link to early Victoria.